Hindsight bias: Knowing an undesirable outcome has occurred increases the belief that it was predictable, should have been foreseen and therefore was preventable. provides a vastly different and often unfairly critical perspective on a case. If you receive a complaint or statement of claim in a legal action, remember it is often not a totally impartial or objective account of events. For example, the language used in statements of claim is usually harsh and critical, and may be taken from a standardized template. The competence of the physician may be called into question. Even the physician's character may be attacked. It is important to get enough sleep and to eat well — physical strength will help you to withstand mental stress. Exercise is beneficial, but it is also important to maintain your social life and not to slip into isolation and despondency. Do not self-medicate or increase your consumption of alcohol. Try to be objective. Be honest with yourself, but try to avoid hindsight bias. Accept the facts as they are. Don't obsess about "what might have been." Be self-aware. If you are preoccupied with this event, the potential for further error is actually heightened. Set limits for the time you will think about this, then take time off from thinking about it and remind yourself of all that is going well. Use the Best Friend Technique. This technique encourages you to treat yourself as you would treat your best friend. If you made an error allow yourself the same understanding you would accord to others. There is no need for judgment. It is important to learn from what happened and move forward. Patients can be harmed from healthcare delivery, and sometimes similar events may be avoidable in the future. Knowing you have responded professionally in the face of an unfortunate event or criticism can contribute to reducing stress. When assessing your own actions, are there any objective lessons to be learned? Are there any alternative actions that might be appropriate in a similar situation in the future? Is there a need for further education? Can you contribute to quality improvement? For more information see systems thinking and quality improvement. Patients may also want to learn about improvements you have made in the system of care. For more information see disclosure. You do not have to "go it alone"
Stay connected. 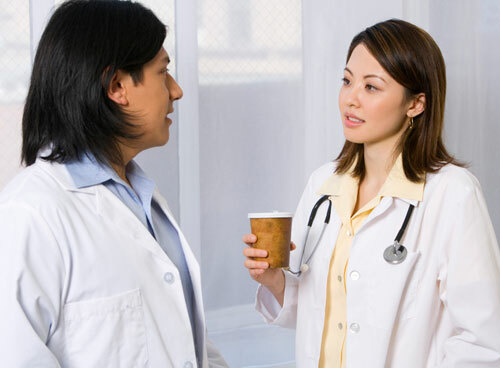 Maintain normal relationships with patients, colleagues, family, and friends. Some physicians keep their professional problems secret, feeling they are unique in their difficulties. They deprive themselves of the support that friends, family, and colleagues would willingly provide. Reach out, talk to others, focusing on how you feel. If you are involved in a legal action, avoid discussing the details of the case. Seek professional counselling if necessary. Physicians, medical students, and residents should seek help when feeling unduly stressed, whether from medical-legal or other difficulties. There are several avenues available to you. You may want to consult your family doctor about how you are feeling. Physicians may consider using the services of a physician health program; there is one in every province in Canada. Many of these provincial physician health programs also extend services to medical students and residents. We suggest that you contact your faculty advisor or the dean's office of your medical school. Increased awareness of the issue of physician stress has spawned the publication of many books and guides to assist physicians. Some of these are available on the CMA website. When members call the CMPA, they receive advice and solace from people who understand their situation. Physician Advisors at the CMPA are physicians with clinical practice backgrounds and are experienced in assisting doctors with medical-legal issues. They strive to help members keep their situation in perspective. Stress is inherent in medicine. Stress occurs following an adverse event (accident in Québec), complaint or legal action. Bad outcomes aren't necessarily reflective of bad care. Statements of claim are not impartial or objective. Avail yourself of the emotional support of colleagues, friends, and family. Do not avoid what needs to be done. It is possible to recover from the distress of a bad outcome. A resilient physician learns by experience, seeks personal help as appropriate, bounces back, and grows. Make practice improvements following adverse events (accidents in Québec). Seek and accept support when needed. Derive a constructive lesson from medical-legal problems.